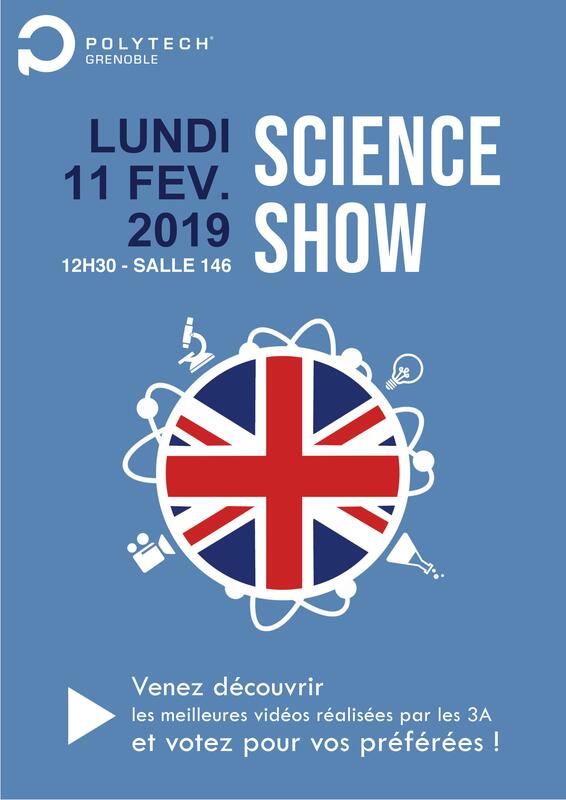 Comme chaque année se tiendra à Polytech Grenoble le Science Show, une compétition organisée par les enseignants d’anglais pour les élèves de 3ème année, toutes filières confondues ! Le principe ? Filmer la réalisation d’une expérience scientifique, et bien sûr expliquer son principe, le tout dans la langue de Shakespeare ! La projection des vidéos aura lieu le lundi 11 février à 12h30 en salle 146 ! Les spectateurs pourront ensuite voter pour leurs vidéos préférés, et les 3 meilleures seront récompensées ! Vous êtes attendus très nombreux pour assister aux projections des vidéos et faire gagner la meilleure ! A vous de jouer ! Today we meet Olivier Troussard, a student in TIS5 at Polytech Grenoble. He is the captain of the two school’s League of Legends (LoL) first team (out of two). My first year at Polytech was at Lille in PeiP C after one year of PACES. I participated in a tournament between a couple Polytech schools but I was playing just for fun at the time, so we lost quickly. Then I arrived at Grenoble the next year, in TIS, and I continued playing without taking part in any tournament. It’s only since last year that we put together the first LoL team and participated to our first tournament together. That year I played to Counter Strike, and a member of the team played to LoL (and ranked second!) at a LAN with the INP and the Imag. This year, we continued playing with other Polytech students and participated to a some tournaments. As I am currently following a sandwich course, I travel very often between Paris, where I have my desktop computer, and Grenoble, where I go to the Meltdown bar to play and train. It is not easy but it is worth it, I enjoy playing a lot, even if I do not plan to make it a professional career. How did the LoL team start? Last year, a student tournament already took place, to which we participated with the majority of the members of our current team. For this year’s edition, the organisers (the Student Gaming Network association, based in Lyon) improved the overall organisation and offered more interesting prizes (unlike last year, they are supported by Riot France, the makers of the game). So I asked if they wanted to do it again, and they were ok: we have 11 players, enough to create 2 teams of 5 players with 1 substitute player in the first team. We play LoL because we like it (of course), we have enough players with a high enough level and it is the videogame with the biggest tournaments in France. Is there a difference of level between the teams? Do they practice the same way? Yes, they are pretty different one from another. The first team is rather high level, the second one is more for fun, they don’t seek to be the absolute best. I am the captain of the first one. Our team do practice a lot at home, even more when a competition is coming soon: 2 to 3 practices a week, during which we do 3 games of approximately 1 hour each, so 6 to 9 hours a week. In the first team, we have one Master, one Diamond 3-4 (me), two Diamond 5 and two Platinum 2-5. In the second team they are Gold and Silver. Our Master and I play since 2012, our Diamonds since 2013-2014 and the others started later, hence their lower level. Last year, since we only had one team, Guillaume, Théo and I (Diamond players) gave some advice to two other Silver players so that the level would be sort of uniform. This year we don’t have many interactions between the two teams, even though the second one watches most of our games. How do you prepare for a tournament and do you have predefined roles? We watch our opponents games, as a team but also each player individually in games where they don’t play with their team: every champion they usually play, their stats… All of the information is summarized in a big Excel sheet. We also think of which champions we will choose in consequence. There is a lot of upsteam work. We change our substitute player regularly so that everyone can play and not only the ones with the highest level. When a player is the substitute, he has an analist or coach role. Do you have any sponsors and what can you win? No, and this is not something we are looking for, we are not a pro or semi-pro team where results are expected. There are approximately 600 french teams and even if we are theorically the 12th team on a national level (based on our players individual levels) sponsors are only interested in the teams in the top 3 I would say. We can win for example Riot points (the game’s currency to buy champions, skins, etc. ), a book with some artworks of the game or even a Monster fridge, filled with the brand’s cans. How was your past tournaments and do you have any others planned? At the beginning of the year we lost in quarter-final. We have played our second tournament with 128 teams so 8 games for each team: we have won against, INP, Phelma and University Paris Créteil amongst others. We ranked 24th in France! It will probably be our last tournament this year, since most of our players are in fourth year and that many of them will go abroad for their internship, which will make the organisation way more complicated, but we’ll see. We are informed of the upcoming events through the official Student Gaming Network Discord server (https://discordapp.com/invite/sgnw). Next time we will have a tournament or a game streamed live it will be shared on the BDJ’s Facebook page and on the school’s Discord. Polytech Grenoble a été sélectionnée par l’entreprise Altran pour participer à leur première Esport Cup ! Les élèves ont jusqu’au 25 janvier (ce vendredi !) pour s’inscrire et défendre les couleurs de l’école ! De plus, les prix sont attractifs : 4000€ de Cashprize, 1500€ pour le vainqueur de chaque tournoi, et 500€ pour chaque finaliste ! Première étape, le tournoi de sélection qui aura lieu dans les locaux de l’école, le jeudi 14 février à partir de 19h00. Dans un esprit de convivialité autour d’un buffet, l’objectif sera de montrer ses compétences devant tous les gamers inscrits. 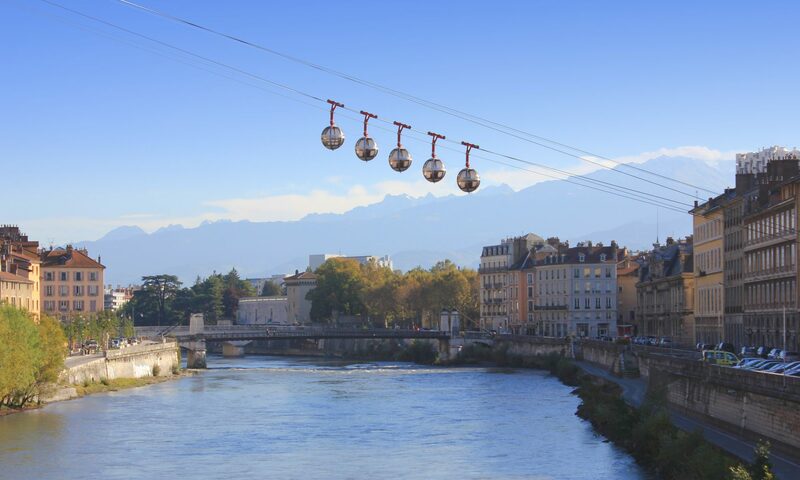 Altran Grenoble sera également présent. Seconde étape, la finale, qui aura lieu le 6 avril à Paris ! Les participants pourront affronter les 2 meilleurs gamers d’Altran. De plus, l’école prendra en charge les frais de déplacement !